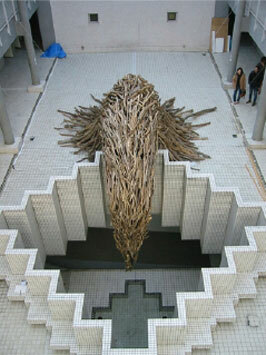 This installation reflects the notion of Japanese animism. 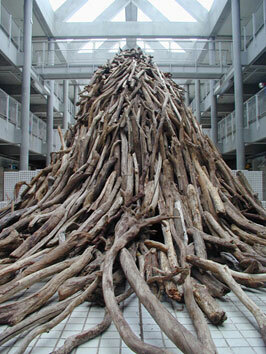 The volume of driftwood comes from the 2nd floor to 1st floor through a well hole of building. 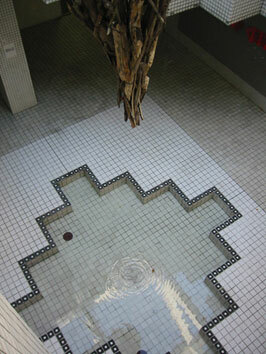 Water drips from a pointed volume and make ripples on underneath water pool. In 2004, when I was conducting research on the Japanese island of Yaku, my most remarkable discovery was that the people there were closely with nature. They felt that nature permits us to survive as a minor element of the ecosystem and that we should allow nature to take its course. At one time, the island suffered at the hands of modern civilization, but then its inhabitants rediscovered their animistic approach to nature. 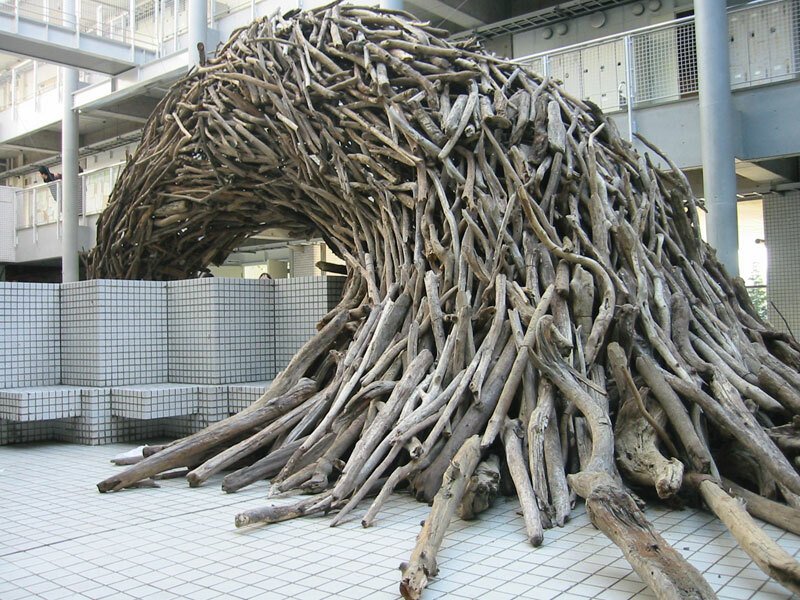 Through this installation, I tried to rethink the relationship with nature in the urban environment, reflecting this deep-rooted notion and using driftwood as a symbol of natural evolution.